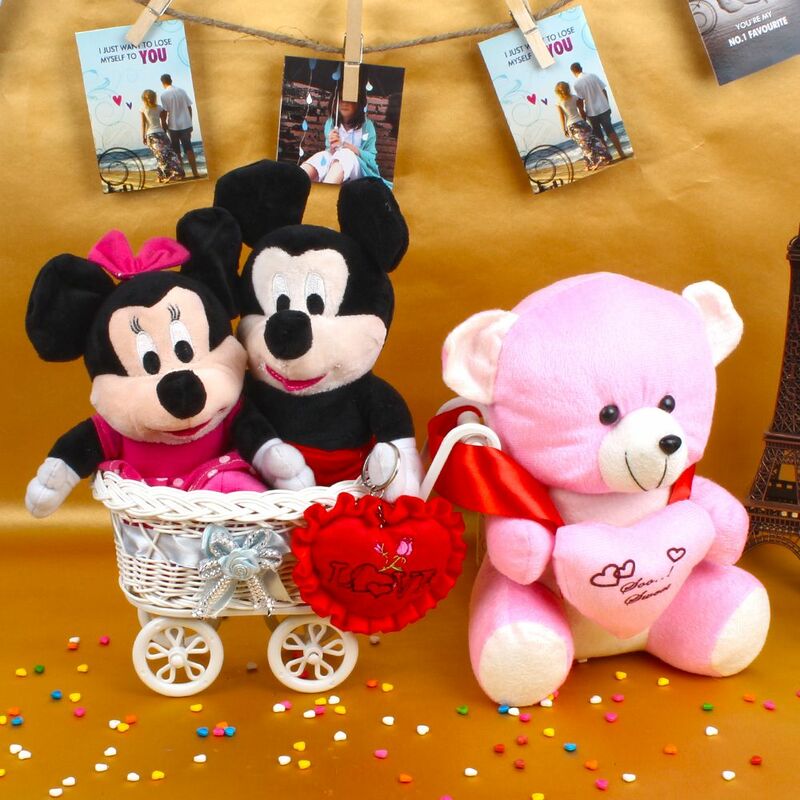 Product Consists : Teddy Bear holding a heart (Approx Size : 10.5 Inch), Love Heart (Approx Size : 3 Inch) along with Couple Mickey and Minnie Mouse Soft Toy (Approx Size : 9 Inches) arranged in a Toy Hand Cart. 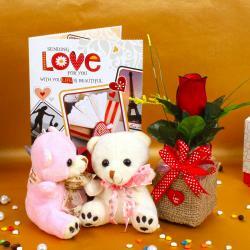 If your love lady loves the soft toys, then teddy day is best time to surprise her by gifting this special gift hamper. This hamper comes with the super love couple of the cartoon world the Mickey and Minnie Mouse Soft Toy comes in lovely Toy Hand Cart. 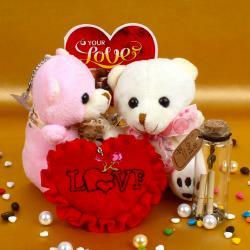 This cuddly love couple not only makes her smile and but give reminder of your romantic moments. 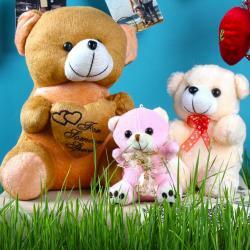 Make your child feel special as you present her huggable soft if you are away then this cheer your love one. This love stuffed bear beautified with a love heart at front. It is sure to make the lovely day memorable for your beloved. Also, red soft loves heart for represent your love full heart. Product Includes: Teddy Bear Holding a Heart (Approx Size: 10.5 Inch), I Love You Icing Home Made Chocolates Box, Love Heart (Approx Size: 3 Inch) along with Couple Mickey and Minnie Mouse Soft Toy (Approx Size: 9 Inches) arranged in a Toy Hand Cart.